ERIKS Plastics in Ede, the Netherlads recently added a robot-controlled milling machine to its machinery, which is able to work on multiple projects 24/7. Now ERIKS can accommodate last-minute orders in a few days instead of a few weeks. The robot controls the machine by feeding it plastic and taking out the final product after milling. The robot combination makes plastic machine components for the food industry with a maximum dimension of 200 x 350 x 100 millimeters. The supplier of the machine is BMO Automation. To compare: A regular CNC-machine runs 1,800 production hours a year. 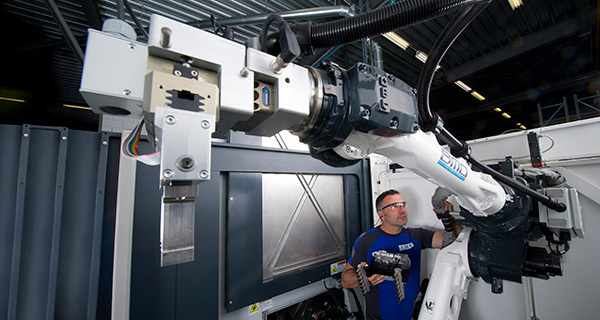 A CNC-machine controlled by a robot can run 4,500 hours a year. Programming the robot takes far less time than programming a regular machine. 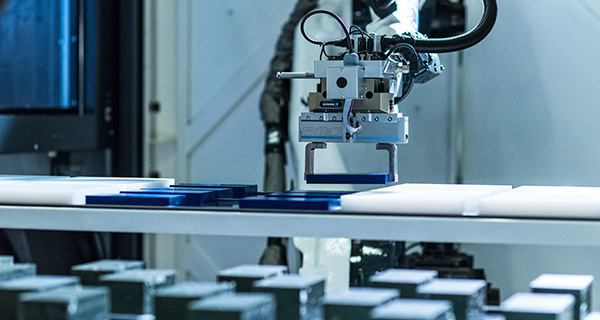 Since the introduction of the robot, the total production of the factory in Ede (equipped with 35 machines) increased significantly. A video on Youtube gives a good impression of the robot at ERIKS Engineered Plastics Ede, the Netherlands.